I attended Covermark workshop some time back conducted by Japanese Makeup Artist and Beauty Commentator Ms. Akemi Senoo, where I had hands on session trying out Covermark products. 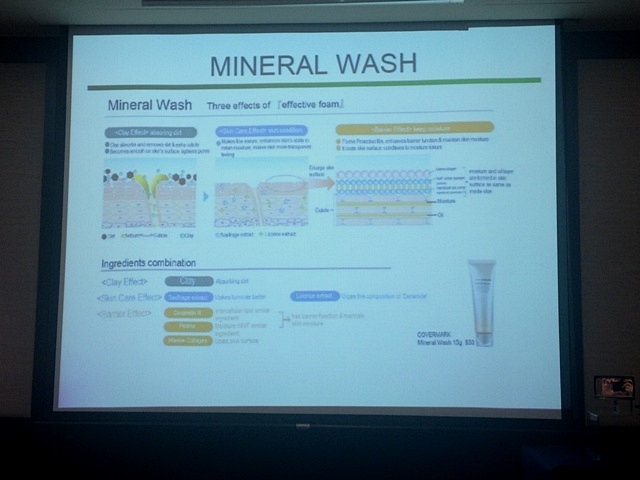 The first product introduced to us was Covermark Deep Cleansing Oil. 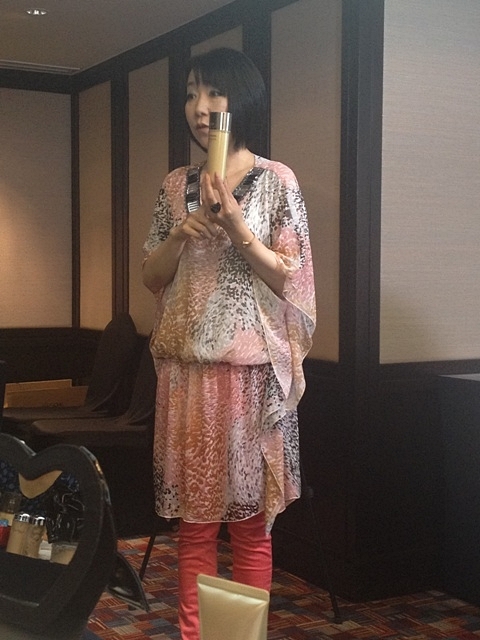 Held on Ms. Akemi Senoo's hands were Covermark Treatment Cleansing Milk and Covermark Deep Cleansing Oil. Ms. Akemi Senoo recommended Covermark Deep Cleansing Oil for thorough cleansing as it blends well with makeup and cleans skin without scrubbing. Moreover, moisturizing agent in it softens the skin without drying out, and it's also suitable for all skin types. Retail price: S$65 for 210ml, S$110 for 420ml. 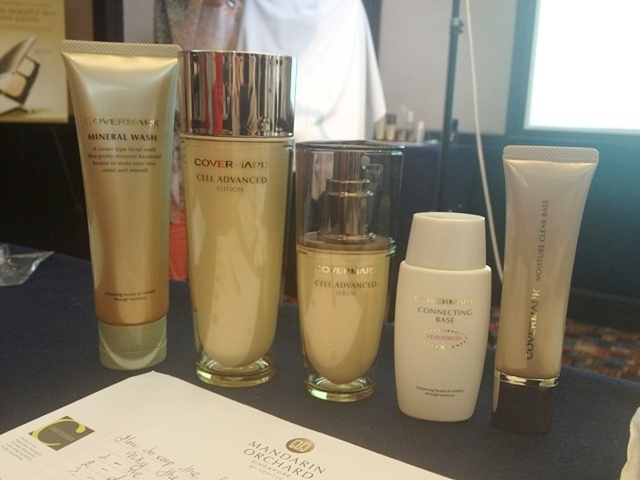 After the cleansing oil, we were introduced to Covermark Mineral Wash. This wash has a luxurious firm foam effect, and it can be used both day and night, and after using it in the day, it allows amazing makeup application as the skin feels smoother and pores were minimised. 1. 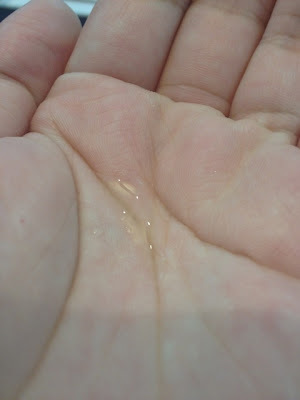 Take an appropriate amount (around 1cm) on the palm. 2. Whip vigorously for several times by adding drops of water/lukewarm water to get a well-foam. Mix and whip by rolling air into the bely of the palm with finger tips, to create thick foam. 3. 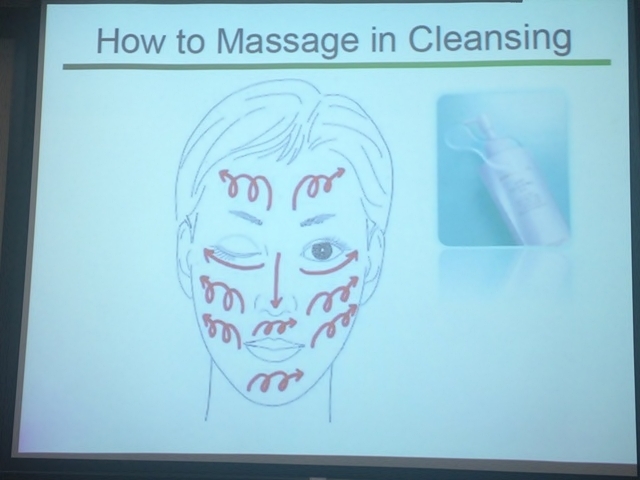 Wraps the whole face into the foam, and rub your face down gently. 4. Wash away with water or lukewarm water. Remove with lint-free towels. Retail price: S$50 for 125g. 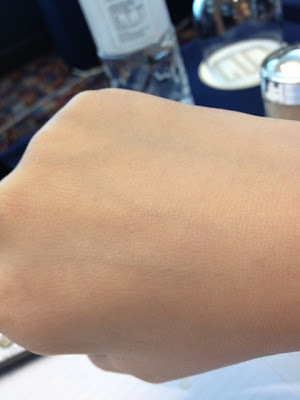 After face wash, we were introduced to Covermark Cell Advanced lotion. Skin texture refining lotion Utilising revolutionary ‘nano-emulsified technology’ to penetrate treatment ingredients into the skin, increasing blood flow to nurture the skin's 'mother cells', refining skin texture and improving the skin's firmness and suppleness. 1. Golden chamomile penetrates deep into skin to hydrate and refine skin texture. 2. Pecan seed essence recreates hydrated, firm and radiant skin. 3. Nano-emulsified hyaluronic acid, which has the ability to lock in 6000 times of moisture, thoroughly hydrates the dermis. 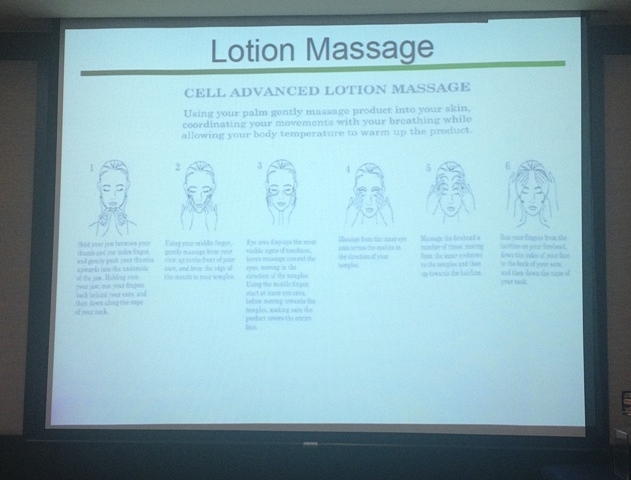 Use your palm gently massage product onto your skin, coordinating your movement with your breathing while allowing your body temperature to warm up the project. 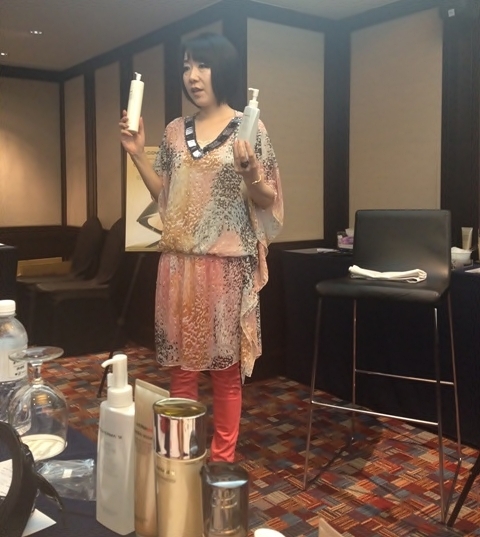 Ms. Akemi Senoo demonstrating how to massage the face to enable better absorption of the lotion and also allows the effects of the lotion to perform better on the skin. Retail price: S$160 for 150ml. 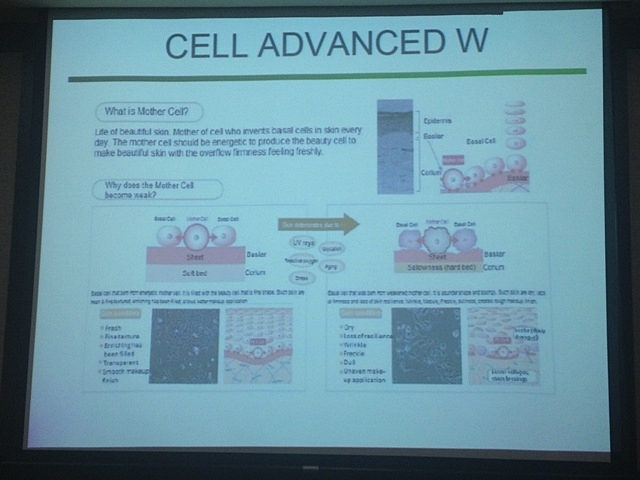 After that would be the application of Cell Advance Serum/Cream. Shown on my hand is Cell Advance Serum. A concentrated serum with intensive treatment effect to repair the skin’s basement membrane and strengthen the skin’s mother cells. Contains a variety of treatment ingredients including oligopeptide, pecan seed and arbutin to create luminous skin that resists against the production of melanin. Easily absorbed, it recreates skin that is firm and luminous. 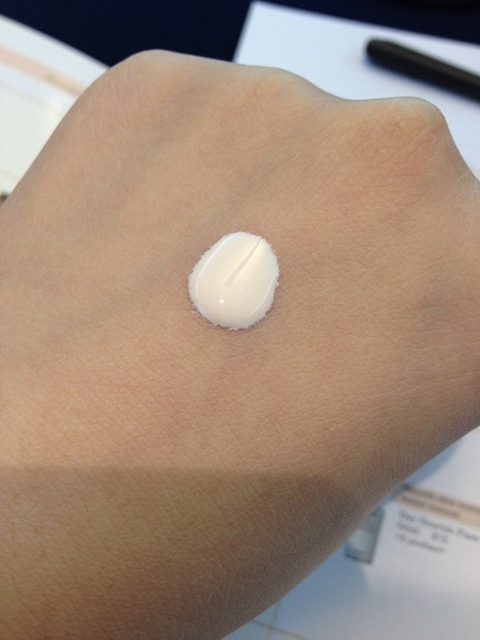 I find the serum rather light-weight and it's watery texture makes it easy to spread out on the skin. Apply morning & night after Cell Advanced Lotion. Pump 2-3 times onto the palm and apply thoroughly on face & neck. Retail price: S$210 for 40ml. In Ms. Akemi Senoo's hands were Covermark Clear Base and Covermark Connecting Base. During the workshop, we were offered the Covermark Connecting Base to try. 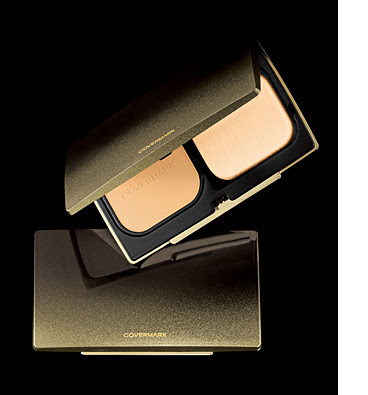 This is a sunscreen makeup base to help makeup last longer. Feels comfortable on face, neck and décolleté. Covermark Connecting Base helps foundation last longer. It is non-sticky and lightweight, creating a transparent look without looking whitish. It makes our easily tan neck and décolleté bright and smooth. 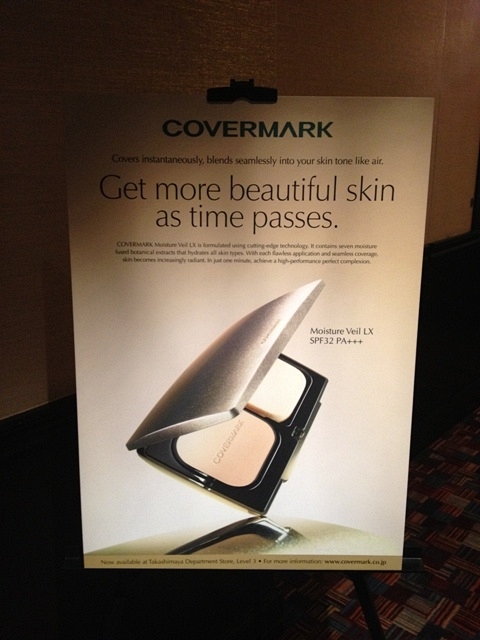 Covermark Connecting Base provides the same skin tone as face when applied to neck, creating a more natural and smooth look. 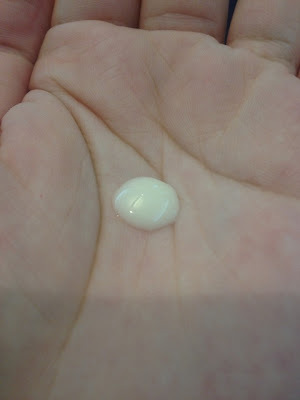 It has special formula to prevent transfer to clothes, and it is sweat and water resistant. Covermark Connecting Base can be easily removed from neck and décolleté using soap. 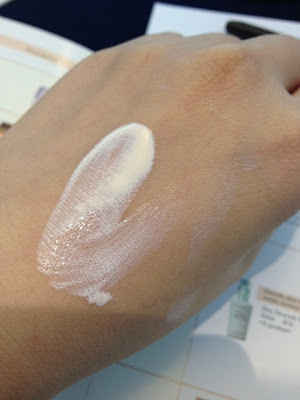 Lastly, with SPF38, PA+++, it helps to block UV rays for hours. 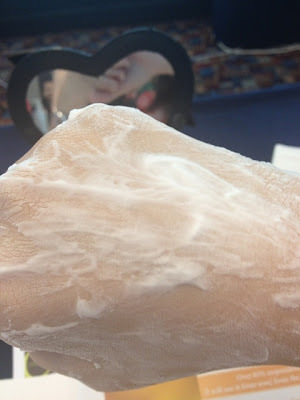 (1) After cleansing, tone the skin with lotion or essence. (2) Before use, shake bottle well until a clattering sound is heard. (3) Take an adequate amount (about a 1.5 cm diameter drop), apply on cheeks, forehead, nose, and chin areas. 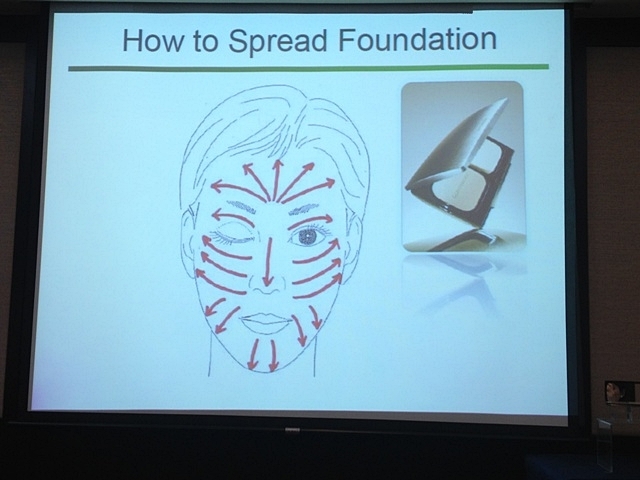 Spread thinly and evenly on the entire face. Use foundation afterwards. 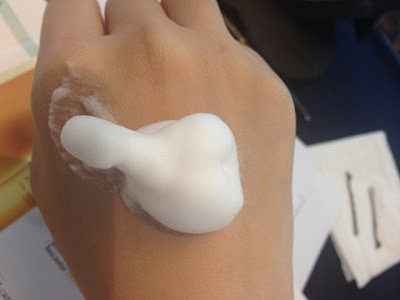 (1) Take an adequate amount (about a 2 cm diameter drop) onto palm and apply thinly and evenly with fingertips. (1) Small amount spreads easily. Spread the product thinly evenly. 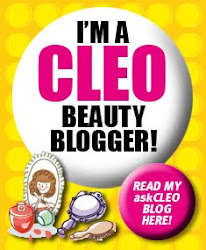 * When using the product on the neck, décolleté, or hands, fully moisturize skin with lotion or essence beforehand. This allows better absorption and provides a beautiful finish. Retail price: S$65 for 38ml. 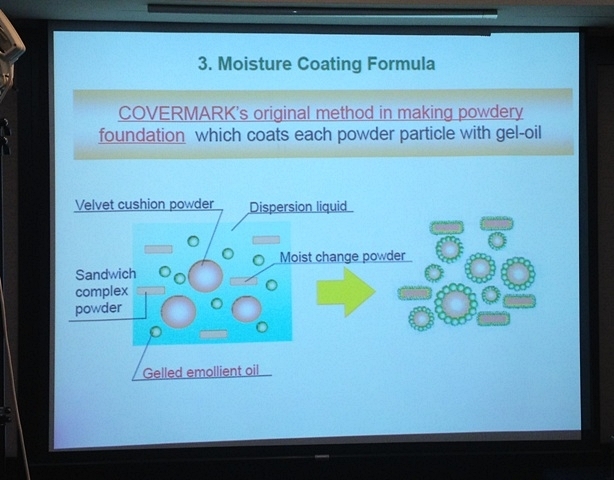 After applying the base, we can apply foundation and we are using Covermark Moisture Veil LX. Formulated using COVERMARK's cutting-edge capsule technology, Moisture Veil LX enables flawless skin that becomes increasingly radiant over time. 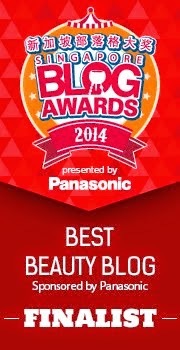 In just one minute, you can achieve a high-performance perfect complexion. It has 8 different shades. 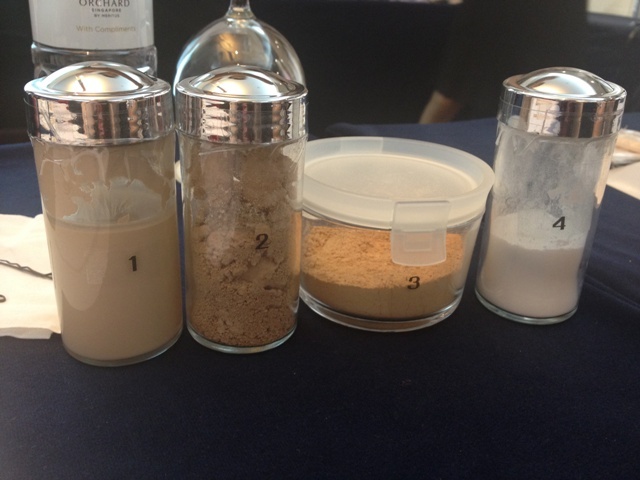 The process of Covermark foundation transformation in which improvements were made and No.4 is the texture of the current foundation, soft and fine as flour. Retail price: S$95. S$70 for refill. 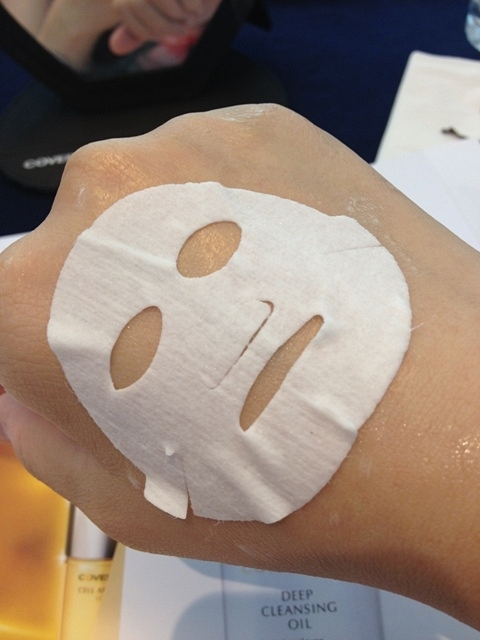 Lastly, we were given a mini Covermark Cell Advanced mask to try. It is a mask infused with concentrated serum. Its utilisation of revolutionary ‘nano-emulsified technology’ enables effective absorption of Collagen, Ceramide and common ingredients of the CELL ADVANCED Series, to bring out skin that is beautifully smooth and able to remain hydrated. It uses elastic material and cutting that is tailored to follow the contours of Asian facial features to allow for a perfect fit. Apply after lotion. Softly press from top to bottom onto face, such that mask adheres closely to skin. Remove after 10-15 minutes. 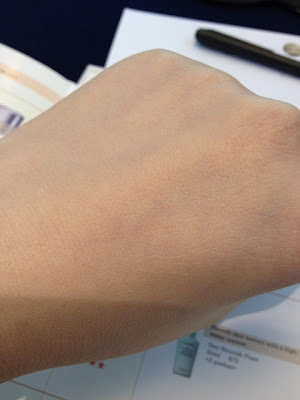 Application of serum or cream is not necessary after use. Retail price: 28ml each, 6 sheets for $128. Hope this post has been beneficial for you. 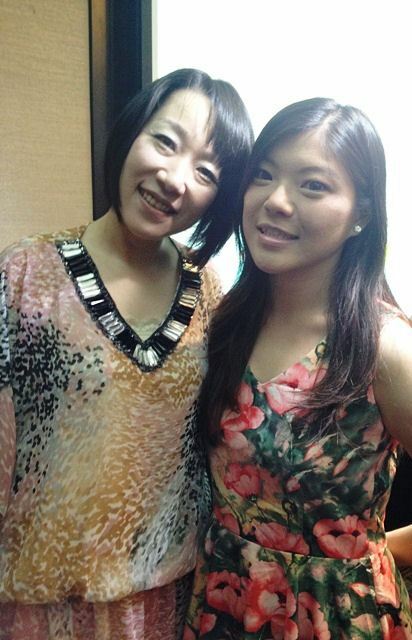 Lastly, ending off with a shot with Ms. Akemi Senoo.